SpotOnHealth HealthPathways provides clinicians in the greater Brisbane south catchment with web-based information outlining the assessment, management and referral of more than 550 conditions. It is designed to be used at point of care primarily by general practitioners but is also available to specialists, nurses, allied health and other health professionals. 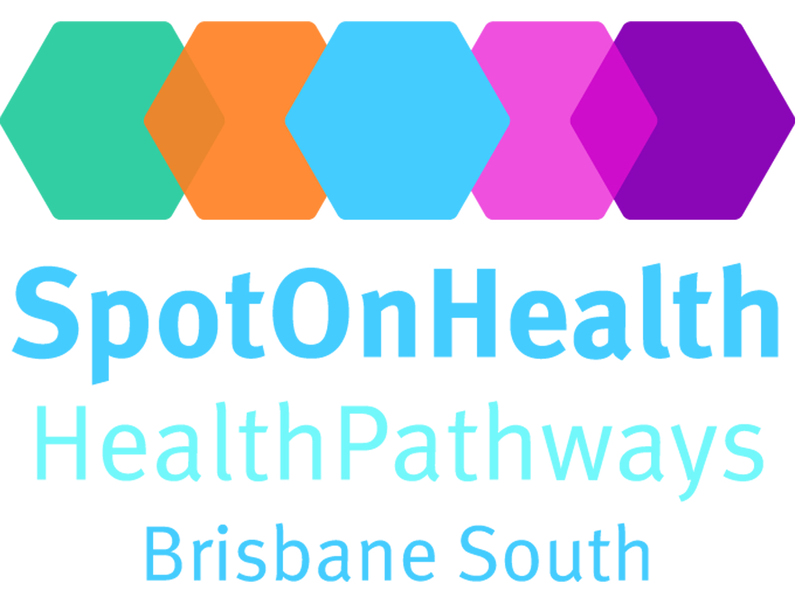 SpotOnHealth HealthPathways is designed to help clinicians navigate the complex primary, community, and acute care systems of the greater Brisbane south region, including Brisbane south, Redlands, Logan and the Scenic Rim catchments. Each care pathway is a peer-approved, standardised clinical decision support tool that lets a clinician make the right management and treatment decisions for a patient. It also includes local referral options and how to access them. The secure portal is not available for use by patients, however there are local resources for clinicians to provide to patients. HealthPathways is based on an initiative from the Canterbury District Health Board (CDHB) in Christchurch, New Zealand, which provides a ‘whole of system’ approach to effective integration of acute and primary health care services. A username and password is required to access SpotOnHealth HealthPathways. If you do not have one, please contact us at spotonhealth@health.qld.gov.au. To arrange a HealthPathways support visit to your practice, please email BSPHNathpsupport@bsphn.org.au. For more information, refer to the project site.